Tucked away in a quiet spot in the ever popular Broomfield part of Herne Bay, lies this excellent first time buy with an unexpectedly large and secluded garden. Internally, this well presented, chain free home has to the ground floor; an entrance hall and nicely fitted kitchen to the front, with the well proportioned lounge-diner to the rear with access to the garden. Onto the first floor; off the landing we have a large walk-in storage cupboard and access to the loft, the good sized bedroom with built-in double wardrobe and airing cupboard is to the front with the bathroom to the rear. Externally; the previously mentioned garden extends to the side of the property thus offering potential to extend (subject to planning) along with allocated parking and a further lawned area for additional parking or enlarging the garden. This great property is being offered chain free for an easier move, all viewings can be booked direct from the Purplebricks website. Via UPVC double glazed entrance door with side window, staircase to first floor, laminate flooring, radiator. UPVC double glazed window to front, range of fitted wall and base units with roll edge work surfaces, inset stainless steel sink, inset stainless steel gas hob with stainless steel extractor over, integrated oven, spaces for fridge/freezer and washing machine, tiled to splash backs, ceramic tiled floor. UPVC double glazed door and window to garden, built-in under stairs storage cupboard, laminate flooring, radiator. Large built-in storage cupboard, access to loft. UPVC double glazed window to front, large built-in wardrobe and airing cupboard, radiator. UPVC double glazed window to rear, panelled bath, W.C, wash basin, towel radiator, tiled to splash backs. Mainly laid to lawn with paved patio areas, enclosed by panelled fence, gated side access to front. 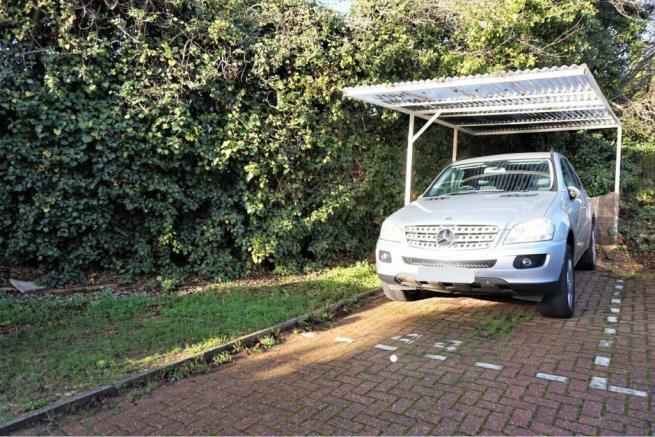 Allocated covered parking space, along with a further lawn area. Disclaimer - Property reference 642018-1. The information displayed about this property comprises a property advertisement. Rightmove.co.uk makes no warranty as to the accuracy or completeness of the advertisement or any linked or associated information, and Rightmove has no control over the content. This property advertisement does not constitute property particulars. The information is provided and maintained by Purplebricks, covering Canterbury. Please contact the selling agent or developer directly to obtain any information which may be available under the terms of The Energy Performance of Buildings (Certificates and Inspections) (England and Wales) Regulations 2007 or the Home Report if in relation to a residential property in Scotland.